With the weather warming up, Epsom salt can help your feet feel better, look better, even smell better. Epsom Salt - How does it work ? When Epsom salt is introduced to water, it dissolves and releases magnesium and sulfate ions. These particles can be absorbed through the skin, providing the body with magnesium and sulfates, minerals that have important functions in the body. It is involved in more than 325 biochemical reactions that benefit the heart and nervous system. Many people do not consume enough magnesium. Even if you do, many factors can interfere with how much your body actually absorbs it. Some people claim that magnesium may be better absorbed via skin than when taken internally. Adequate magnesium levels are essential for sleep and stress management because magnesium helps the brain produce neurotransmitters that induce sleep and reduce stress. Magnesium may also help the body produce melatonin, a hormone that promotes sleep. Most commonly, epsom salts are used in Foot Baths. 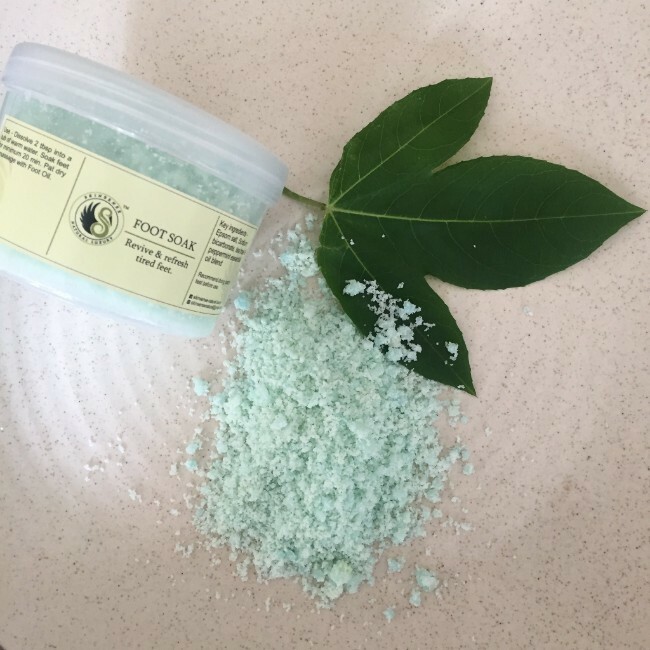 Epsom salt – otherwise known as magnesium sulfate - helps ease muscle and joint pain, swollen and inflamed feet, foot and toe fungal infections, and odor and skin problems. Excessive moisture provides a breeding ground for fungus. To prevent that, it is recommended to wear acrylic socks that let feet breathe more than cotton socks. Epsom salt doesn’t kill infections, but it helps get down into the cellular level, forcing out the infection that would otherwise grow larger.